Place the oats, coconut water, sugar and salt in a medium saucepan over high heat and stir to combine. Bring to the boil and reduce the heat to low. Cook for 2–3 minutes, stirring occasionally, or until the oats are cooked through. Add the coconut milk and stir to combine. 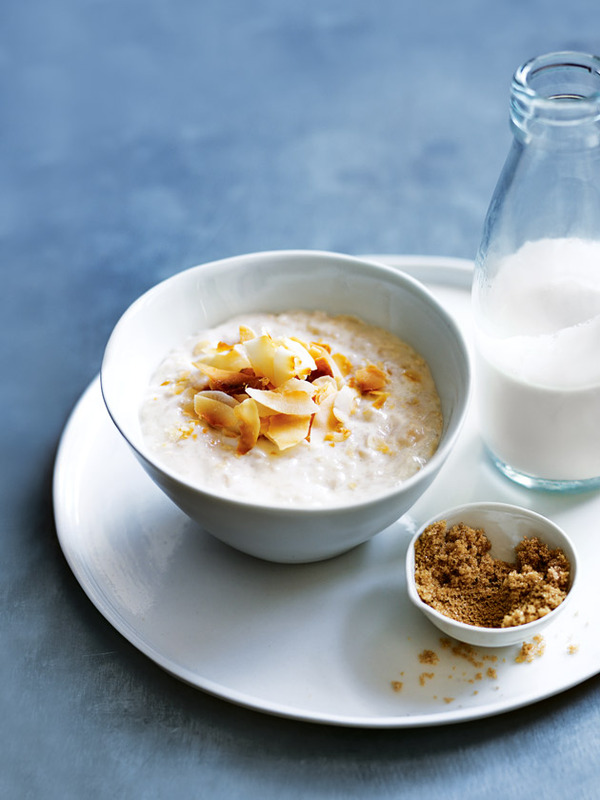 Sprinkle the porridge with the brown sugar and coconut flakes to serve. Serves 4. + You can find young coconut water sold in packs and in fresh coconuts at some supermarkets and greengrocers. Hi Rachael, yes you can reheat this the next day – you might need to add more milk when reheating to serve – The DH Team.